BRADENTON, Fl. 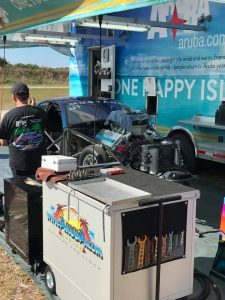 (January 26, 2017): The Extreme Pro Stock team from ‘The One Happy Island’ of Aruba left its mark on the Mountain Motor world in 2016. It was their best season yet, with a strong championship chase that earned driver Trevor Eman and the team a solid second place finish. After a brief off season Team Aruba is back in the states, prepping for another championship run in 2017. 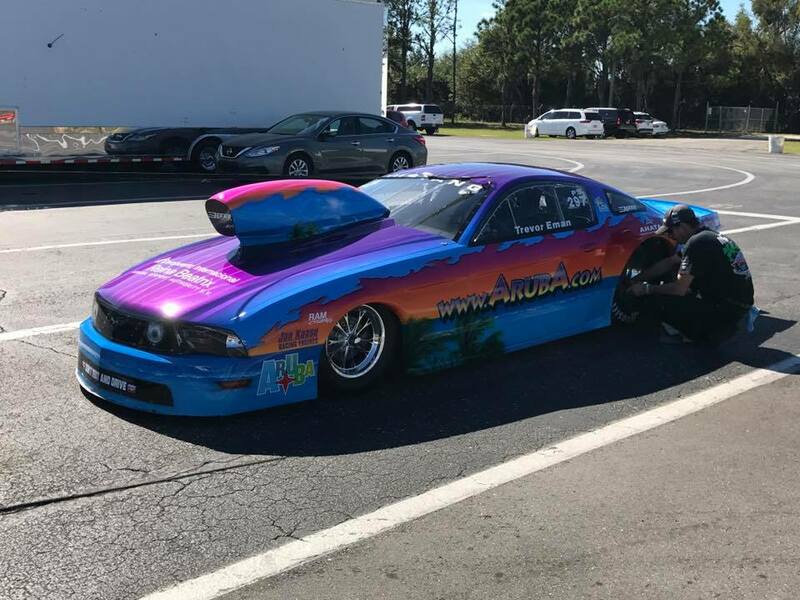 With the International Hot Rod Association making drastic changes to its program this year and the Professional Drag Racers Association welcoming Extreme Pro Stock back for a full schedule, Eman and the Aruba.com Mustang will switch gears from quarter-mile to eighth-mile racing this season. 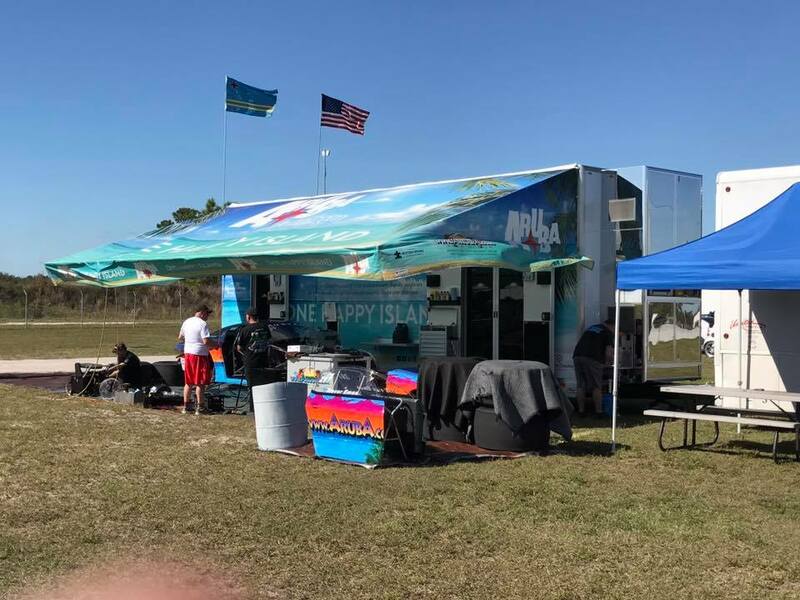 The team is currently testing at Bradenton Motorsports Park to prepare for the eight race PDRA schedule. “We are excited to run the PDRA schedule this season,” told Eman. “We’ve followed the series’ progress and see the strong fan support. They run on great tracks and running to the eighth-mile is easier on our Aruba.com Mustang and Jon Kaase Engine. Team Aruba will test in Bradenton before the PDRA season beings at the Southern Extreme Nationals at South Georgia Motorsports Park, March 9-11. All PDRA events will be broadcast live on Speed Video.